The short story Dancing on the Red Planet has been nominated for the British Science Fiction Award! 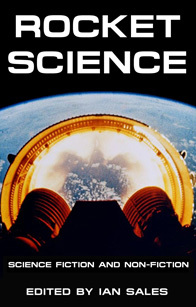 Dancing on the Red Planet is a part of the hard SF anthology Rocket Science, edited by Ian Sales. Other short stories and non-fiction pieces from Rocket Science have also been nominated for the BSFA award.